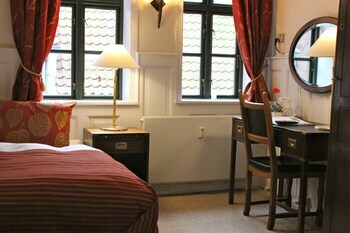 A stay at Hotel & Restaurant Madam Sprunck places you in the heart of Helsingor, steps from Zealand and 4 minutes by foot from Saint Olai's Church. Featured amenities include express check-in, express check-out, and complimentary newspapers in the lobby. This hotel has 2 meeting rooms available for events. With a stay at Canal Apartment in Copenhagen (Sydhavnen), you'll be within a 15-minute drive of Tivoli Gardens and Ny Carlsberg Glyptotek.